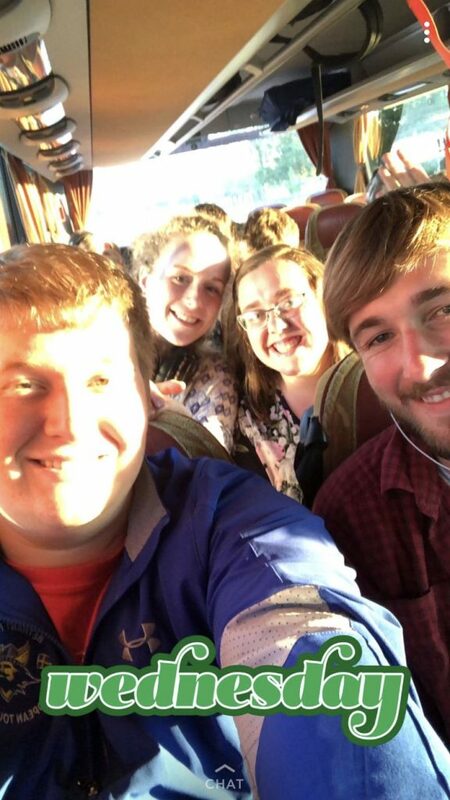 Today’s guest blogger is Allison Regehr, a freshman music major from Great Bend, Kansas. It’s day 6 and it is extremely hard to imagine that we’ve been going at this for so long already! Today was our first official day in Sweden, and it most definitely did not disappoint. 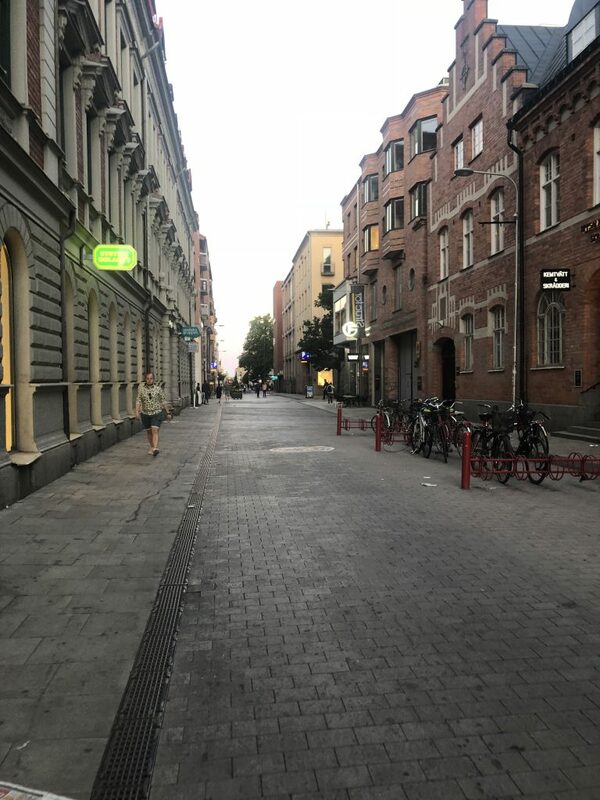 After flying into Stockholm late last night, we drove to Uppsala to spend two nights. We started the day with some precious sleep-in time (which was extremely needed by this point), and then ate an awesome breakfast at the hostel. 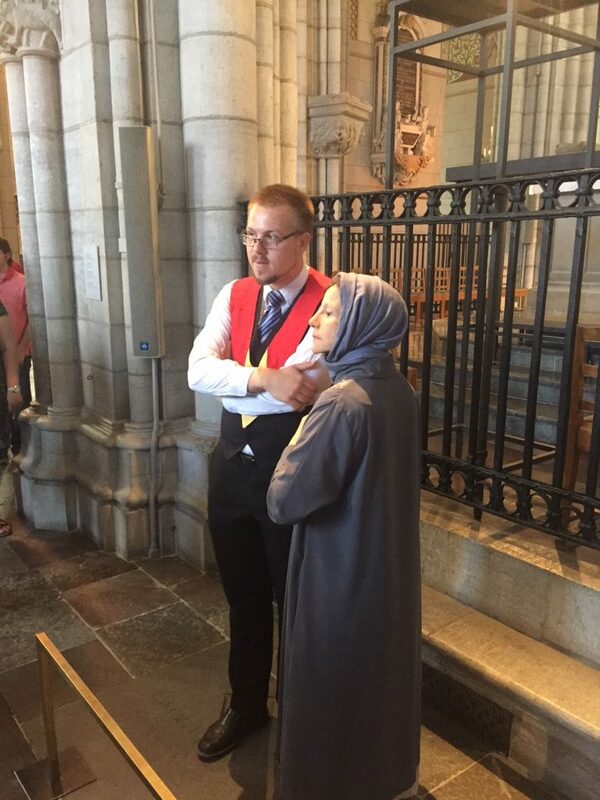 The first stop of the day was at the Uppsala Cathedral. At this point in the tour, we’ve visited three cathedrals and all of them have been absolutely magnificent. The Uppsala Cathedral really took my breath away. There really are no words to explain the feeling of stepping into these massive structures that contain so much history. We were fortunate enough to get a tour and got many details on the various kings, queens, and saints that are memorialized there. Many people of high standing are interred in this building such as Eric the Saint, King Gustav Vasa, and Saint Bridget of Sweden. Our tour guide was AWESOME and made many quality puns. We did get to sing in the cathedral, even if it did mean Dr. Lucas getting a talking-to from the lady manning the door. 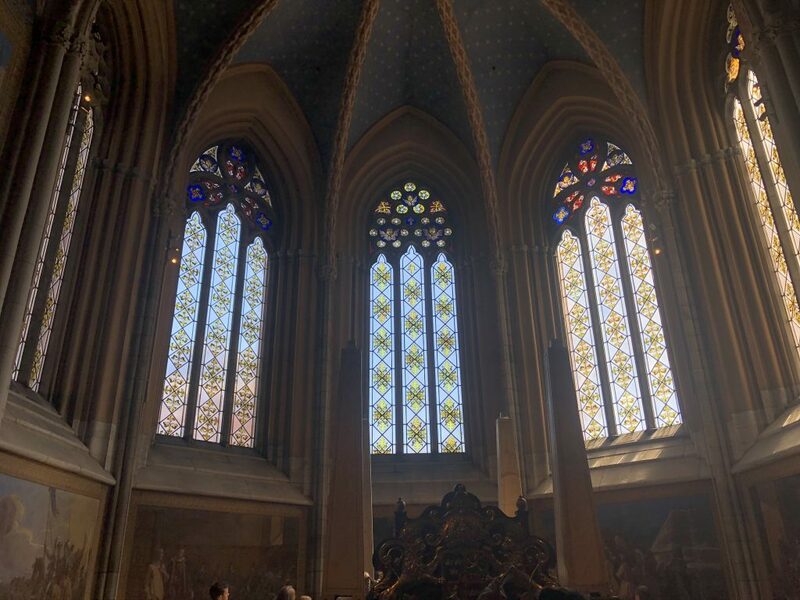 Again, there will never be words to explain the sensation of cutting off that last chord and hearing our voices reverberate around that magnificent space. After our tour of the cathedral ended, we were given the chance to get lunch on our own. Sweden has many options to offer, but this extremely picky eater chose to order a CHEESEBURGER. I had no shame, even if I felt a tad bit shunned by the rest of my group. 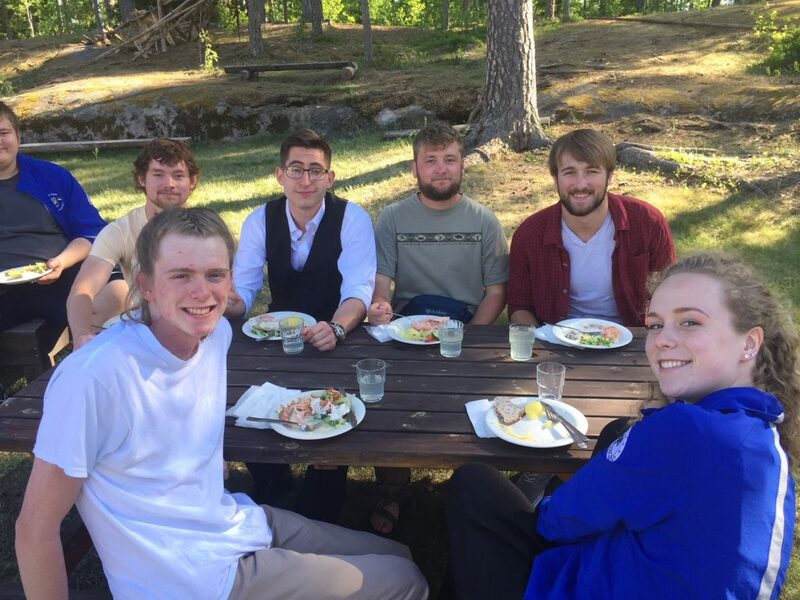 The last stop of today for us was a performance at a church in Alunda, which is approximately 37 km northeast of Uppsala. By this time of the day, most of us were dragging HARD. It may have only been a 30-minute bus ride, but I fell asleep quickly. I woke up to see the gorgeous Swedish countryside and snapped some wonderful pictures. At this point, I’m taking a side-note. European architecture has thoroughly amazed me. I’m always one to notice the landscape or the construction of my surroundings, and Sweden and Germany both have blown my mind. From the clean-cut apartment buildings to the ornate decorations on the older structures, Europe has a beautiful aesthetic. The church building we got to sing in was no different. It was very modern and beautifully designed. Once we arrived at the church, we were provided dinner by some of the ladies. Again on the picky eater topic, I was nervous that the traditional Swedish food would be something that I wouldn’t enjoy. Boy, was I wrong! 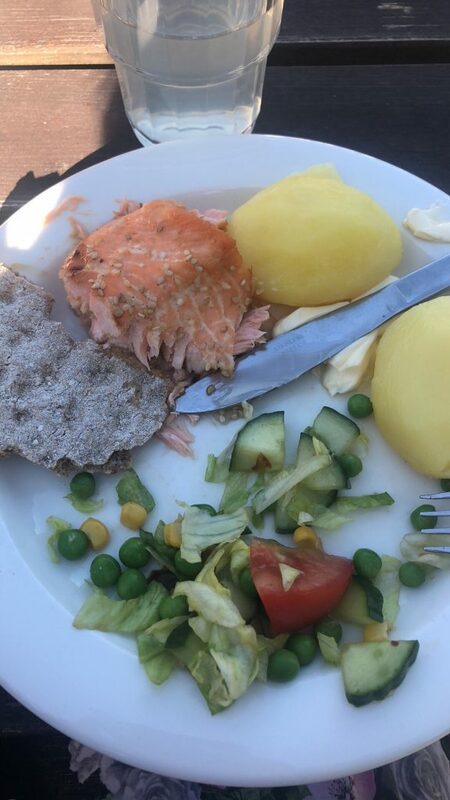 The meal we were served was salmon with a delicious glaze, boiled potatoes, and salad with Swedish Knäckebröd. Unbeknownst to myself, I am a huge fan of salmon and I ate the entire meal. 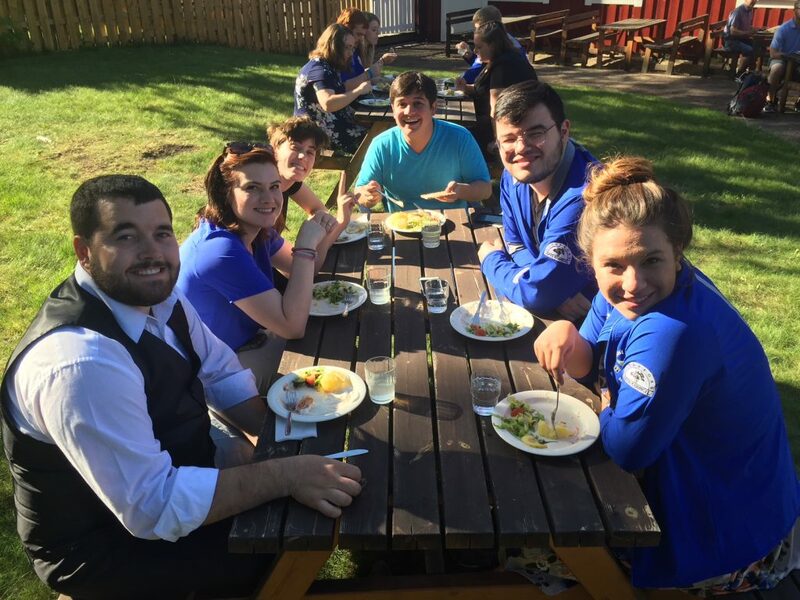 We are so lucky to have found such welcoming people! The concert experience is another story completely. On this tour, we’ve had several concerts, and all of them have been special in their own way. This concert was certainly no different. The audience was SO enthusiastic, and that can definitely be the difference between a concert with a good sound, and a concert that is genuinely fun to perform. Seeing the joy on the crowd’s faces when we sang familiar Swedish songs brought a feeling that was different than anything we’ve experienced thus far. It was extremely moving to watch these people that we can’t communicate well with suddenly understand everything we were trying to say just through the power of music. These people gave us multiple standing ovations and even convinced Dr. Lucas to bring us back out for an encore. The joy in the room was absolutely contagious, and I feel confident that I speak for everyone when I say that this will no doubt be one of the best performances we have on the entire tour. Our choir left that church reenergized and renewed, and that was absolutely what we needed at this point in the trip. When I think of today and especially our performance tonight, a specific bible verse comes to mind. Psalm 133:1 says “How good and pleasant it is when God’s people live together in unity.” By sharing our gift of music with those people tonight, we were all unified in Christ. Even with the communication barrier, it was simply understood that we are one, no matter what language we speak or what country we are from. Music has a funny way of bringing people together, and tonight was an excellent example of that. I have a quote from a friend of mine that says, “I have to make my own tomorrow out of the ashes of today.” As a choir, we must take the awesome remains of today’s experiences and use them to fuel our energy and excitement for the rest of the tour. I can’t wait to see what tomorrow holds! ← Previous Previous post: Day 5 – Berlin in a day! Thank you so much for sharing Mark!! Loved reading your blog. Awesome. I took the time to watch a good portion of the Alunda concert online. I am reminded of the wonderful Swedish hospitality when I heard their clapping and voices in song. I hope there wasn’t too much salmon left over. Dr. Aune and myself stayed after the evening meal eating as much left over salmon as possible when Dr. Lucas was a college student. We couldn’t let all that good food go to waste. Tomorrow will be a fabulous day as you head north into Dalarna, the province of the Dala Horse. Leksand Church is beautiful and unique in its architecture. 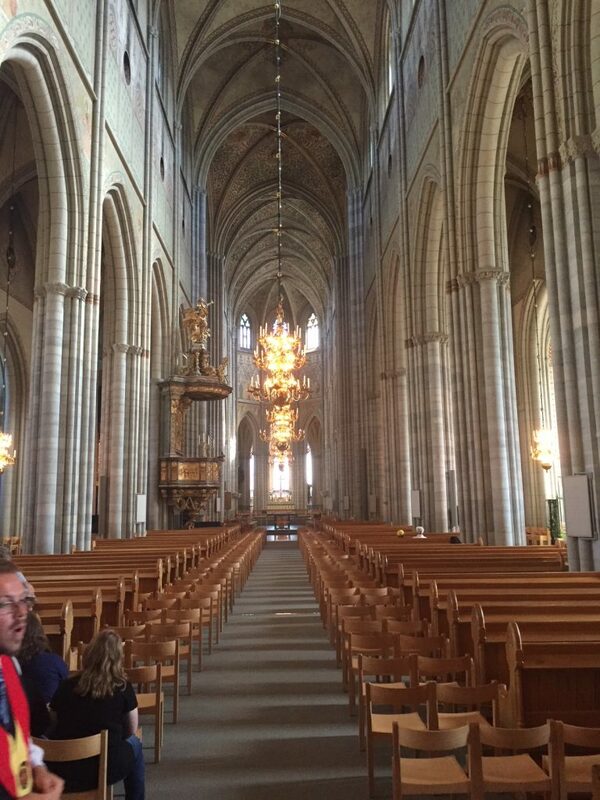 The choir has sung there before and it was always well attended. Enjoy!! Underbara!!!! 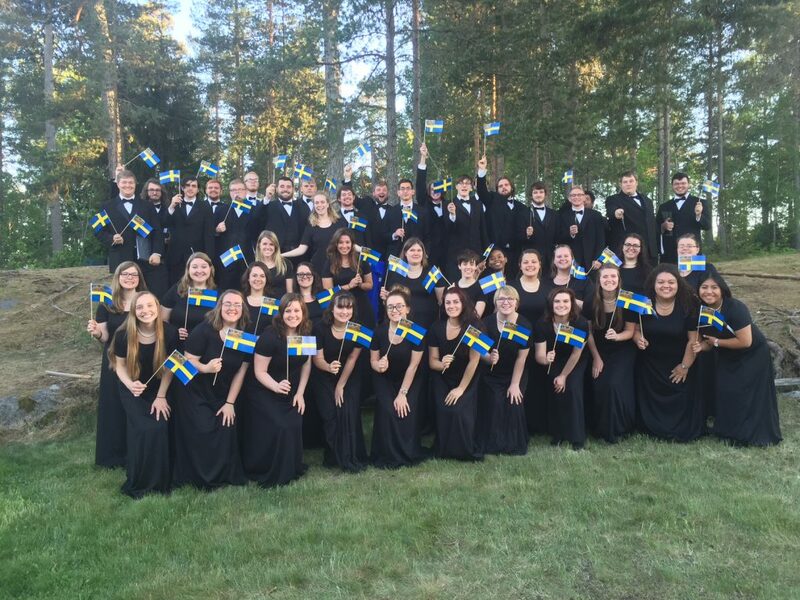 Just wish I were with you and enjoying your voices…singing and responses to sverige! When in doubt all you need to know is “tack tack” or Tusen (toosen) Tack (talk)…or in swedish..1000 thanks! They will so appreciate your effort!! Tusen Tac!..Louise Ehmke….exchange student to Sweden from Bethany years ago…when Bill and Judy were there. Loved the recorded concert! It was breath taking!! Enjoy the beauty of Sweden! You will be amazed at how many folks speak English. Don’t for get to try the ice cream! Best in the world! Have fun! Very well written Allison! Thoroughly enjoying these daily blogs. So glad you are all getting this opportunity. You are making memories you will never forget! Congratulations and a thousand thanks for all that you are doing to make us proud! I’d love to know what’s on your concert program….